Between 26 May 1958 and 13 October 1959, 12 Bold Orion test launches were conducted using a B-47 Stratojet as carrier aircraft. The missiles used major components from other programs to save time. 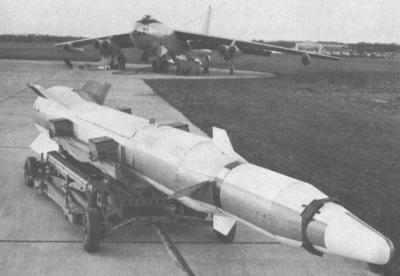 The first WS-199B missiles were single-stage vehicles powered by a Thiokol TX-20 (XM20) Sergeant solid-fueled rocket, but the initial flight tests were reportedly not very successful. 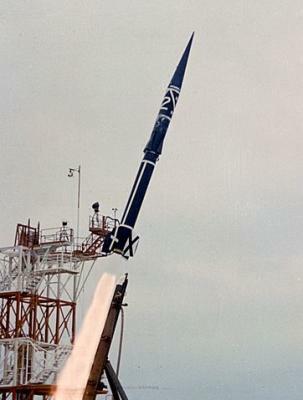 The Bold Orion was then modified to a two-stage missile by adding an Altair second stage. In this configuration, it became a viable ALBM with a range of 1770 km (1100 miles). The results of the Bold Orion program were put into the requirements for the USAF's WS-138A operational ALBM program (leading to the GAM-87/AGM-48 Skybolt). To save development time and cost, Lockheed used proven components from the XQ-5 Kingfisher, X-17, UGM-27 Polaris and MGM-29 Sergeant missiles. The High Virgo missile was powered by a single Thiokol TX-20 Sergeant solid-fueled rocket motor. It was equipped with an Autonetics inertial guidance system, but a development delay caused the first two of four tests to be flown with a preprogrammed autopilot instead. The missile had four tailfins for aerodynamic control, and was fitted with a plastic nose cone to cover the reentry vehicle. 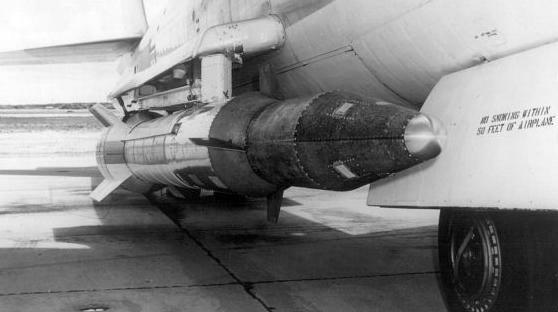 The launch procedure was to fly supersonic at high altitude and drop the High Virgo missile, whose motor would then ignite after a few seconds of free fall to clear the B-58. The USAF didn't pursue the Convair/Lockheed B-58 ALBM project further, but had instead begun the WS-138A program for an ALBM launched by the B-52. This program eventually led to the GAM-87/AGM-48 Skybolt missile. On a typical flight, Alpha Draco's first stage burned for 32 seconds and boosted the vehicle to 12800 m (42000 ft). That stage was then dropped and the vehicle coasted upwards for a while, after which the second stage was ignited to lift the payload to an altitude of more than 30500 m (100000 ft). The reentry vehicle, having reached Mach 5+, glided towards a preprogrammed location about 390 km (240 miles) from the launch point where it entered a terminal dive into the ocean. The first two Alpha Draco test flights on 16 February and 16 March 1959 were successful, but on the third and final one on 27 April 1959, the vehicle had to be destroyed when it deviated from its planned flight path. The program verified basic principles of boost-glide vehicles, and explored hypersonic aero- and thermodynamics.